What if imagination COULD take you anywhere? When I sat down to write this post, this same series of questions echoed over and over in my head. What if imagination could take you anywhere that you wanted to go? What if imagination is where happiness begins? What if imagination and magic and creativity are all the same thing – this little spark found somewhere inside every one of us that’s been there all along, just dying to be let out at the right moment, with the right tools? Thanks to the teachings of a couple creative and present educators, I’ve always been a firm believer that if you love to do something and it makes you happy, you should find a practical way to use it to your advantage. Whether that means it makes you money, it makes your daily life easier, it gives you an outlet for expression – if you can harness that thing you love and make it benefit you or others, then you should do whatever it takes to pour gasoline on that spark and nurture the light until you’re on fire. Now - this philosophy wasn’t something that I picked up overnight – it took the hard work of a few dedicated teachers and decades of time for the notion to stick. I’m still mentally thanking those that utilized creative instruction and technology in the classroom when I was young for teaching me that with a little imagination and a couple choice tools (in my case, a pencil and a few pieces of blank paper), I can do and be whatever I want to be. Which brings me to another question and the point of this post – did you know that the Artesprix sublimation markers are not just for crafters and artists to play around with – but they also make great learning tools for classrooms? Because they are easy to use and provide a very hands-on outlet for imaginative minds, the markers have the potential to promote student engagement and motivation through that very same creativity, that very same spark that I mentioned earlier. It’s been proven that creative instruction and thinking builds on critical thinking and goes beyond simple "what if" possibilities – it incorporates real-life problem solving and focuses on making judgements about the ideas we generate, which sometimes involves testing, refining and even rejecting our own ideas. I can feel you rolling your eyes. I can just imagine you thinking, "Wow, some sales pitch. They're just markers." But bear with me. I promise you that with a present and committed teacher, the markers can be used to apply coloring to real-world problem-solving skills and they have the power to engage even the most unreachable child. Choice-Based Art Education or Teaching for Artistic Behavior – TAB are teaching concepts that prompt independent thinking and are rooted in self-direction on the part of the student. Stations or centers that focus on different art mediums are set up in an art classroom, allowing students to choose which centers they want to participate in for the day. Managed by an overseeing teacher, students work at their own paces and are able to try something over and over again (which ideally leads to the mastery of that medium!). The main idea driving choice-based art and TAB programs allows students to take ownership over their art experiences and encourages persistence and risk-taking during the creative process. Schools of all grade levels that have successfully implemented these types of programs into their curriculums provide a great place to bring aboard materials that promote the custom decoration process, including the sublimation markers and even a high-quality heat press or vinyl cutter. Building a station that caters to fashion design and apparel creation succeeds in giving children a hands-on outlet where they’ll have the ability to express themselves and maintain total control of creating their own style of T-shirt designs. This may even lead them to developing new artistic skills that they may not have had the opportunity to experiment with otherwise. 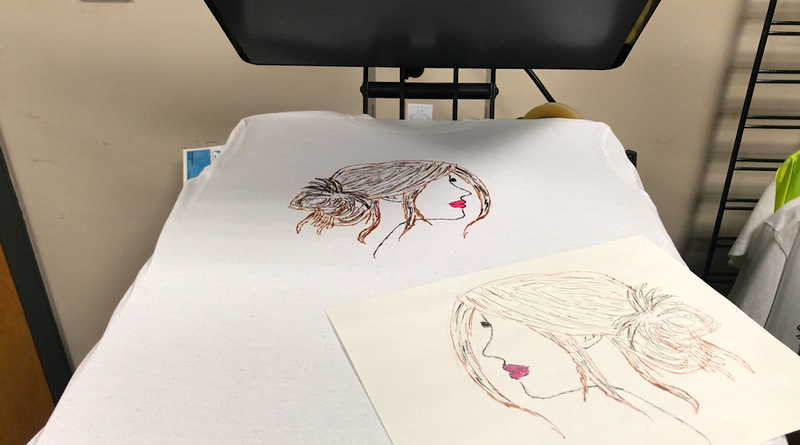 Under the supervision of a teacher or another qualified adult, kids can experiment with heat pressing their drawings and designs onto different garments and items. There’s something magical and even inspiring about seeing something you drew – something you created – come to life on an item of clothing that you can wear and be proud of. Not only will they have the opportunity to refine their art skills, but due to the nature of the sublimation process, these types of activities can open the door to different conversations about science (solids passing through different states) and mathematics (the effects of time/pressure/temperature settings on end results). And when you are able to implement additional lessons about using all of this science and creativity to make money – that’s when you’ve really captured your students' attention. Producing your own line of clothing or T-shirts isn’t just a concept that can thrive within the confines of the art department. When a school chooses to utilize a heat press, it opens up a variety of learning opportunities that apply to more than just art class. Incorporating vinyl application and shirt sales into lesson plans is a creative way to engage young students and provide them with accessible learning about entrepreneurship, mathematics and marketing. By allowing students to design, create and produce apparel in the classroom or a STEM lab, it grants students access to “real-world opportunities” and gives them a better understanding of how financial numbers are applied to real life business concepts. T-shirt design and apparel production doesn’t only benefit students from a mathematical standpoint – it also introduces them to the idea that there’s an industry where people make things – and then make money off of those things. For those young creatives that feel less inclined to venture into traditional occupations, discussing personalization techniques and how they can positively impact an individual’s livelihood could provide both a sense of relief and a clearer vision in terms of career path. I remember conducting a DIY T-shirt class when I was working in a screen printing shop several years ago with a group of highschool kids that were having trouble paying attention in school and staying on task. The moment we pulled out the materials and started talking about opportunities careers in the personalization industry, every single kid put down their cell phone and began listening. They became hungry for more information, asking dozens of questions about how they could make money off of their drawings, paintings, jewelry, graffiti, you name it - and I realized pretty quickly that no one had ever told them that a creative career was even an option for them to pursue. 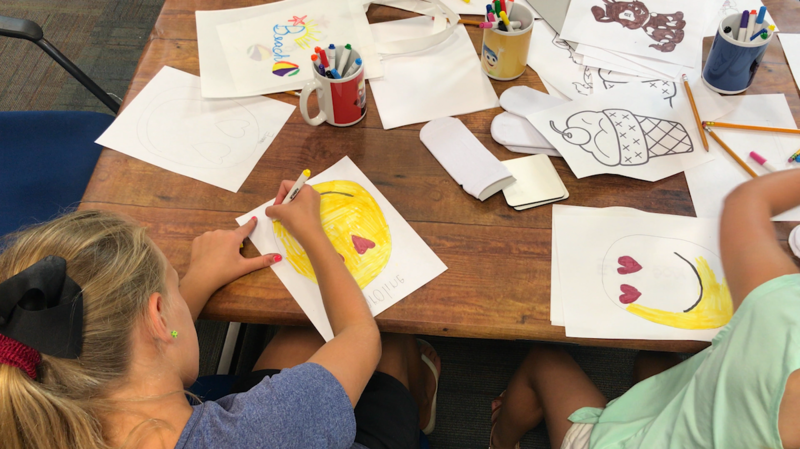 Allowing kids access to tools that encourage creativity like the sublimation markers and a heat press could open their eyes to life-changing realizations about who they are, what they can do and where that can take them. Makerspaces present another opportunity for teachers to explore the positive impact of the markers on the kids’ imagination, design planning, and problem-solving skills. Many makerspaces already utilize heat presses and vinyl cutters (in addition to 3D printers and engraving machines) that allow students to create their own T-shirt lines and spirit wear items for school functions or to sell for fundraising efforts on behalf of the school. 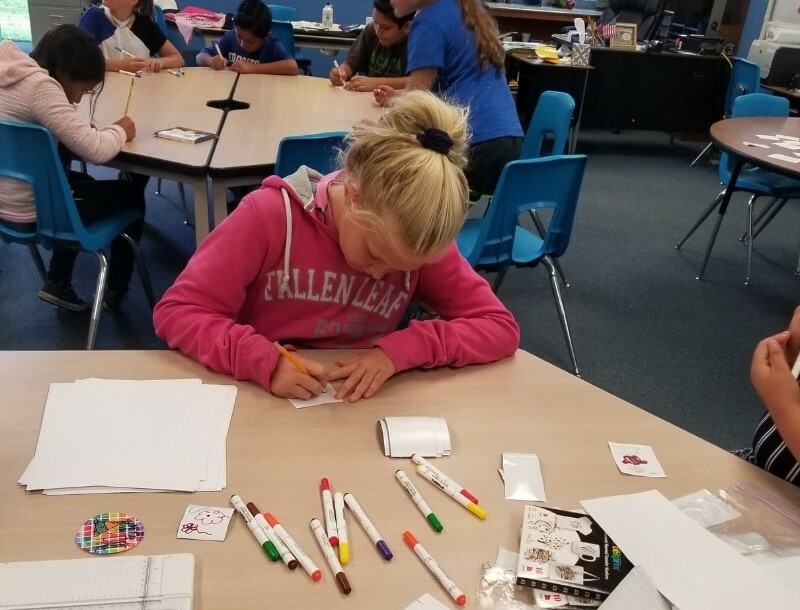 Adding the Artesprix markers to a makerspace’s repertoire of tools gives students another creative outlet that can be used in conjunction with the vinyl cutter and heat press to transfer one-of-a-kind designs by hand. Employing the Artesprix markers in school districts doesn’t have to be something that only the kids get to enjoy – administrators, teachers and Parent Teacher Associations/Organizations can reap the benefits of using the markers to their advantage as a fundraising tool that celebrates creativity. Every parent loves showing off artwork created by their children! 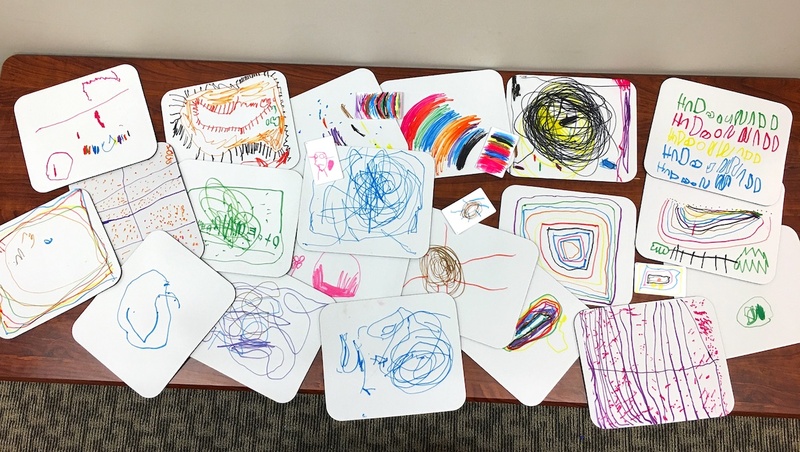 With the help of an adult and a heat press, kids can transfer their hand-drawn masterpieces directly to the surface of their choice to create unique, one-of-a-kind keepsakes such as mugs, keychains, T-shirts, etc. that parents can then purchase from the school at a reasonable cost, giving them something from their child that they can cherish and display for years to come. Another great fundraising outlet: school or PTA/PTO-sponsored auctions. Class art projects can be huge money-makers at PTA auctions. 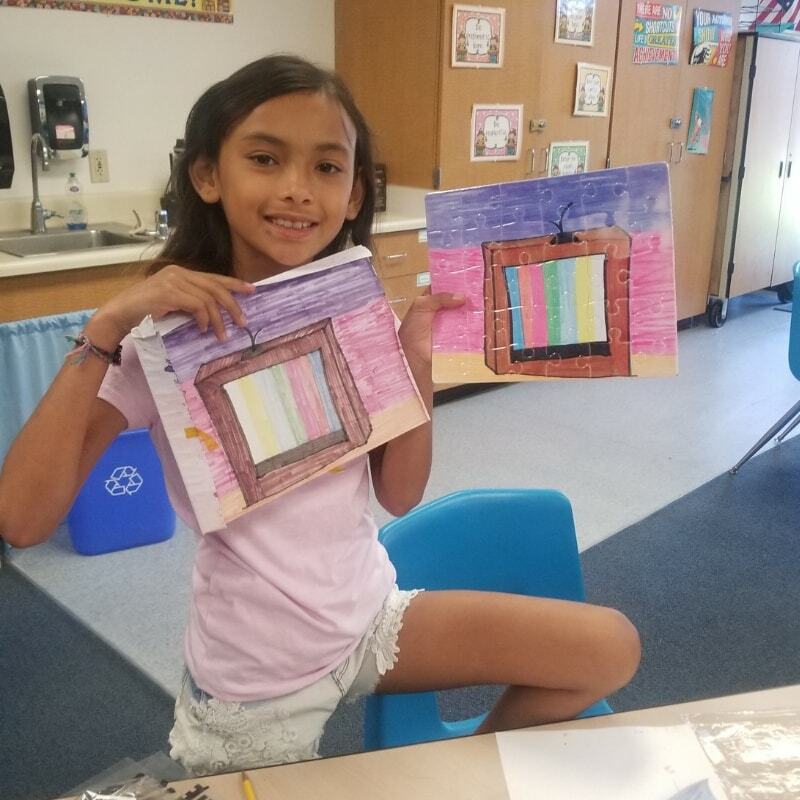 One-off keepsakes and original artwork pieces crafted by elementary school students are known to go for high-dollar amounts, as the children creating the art have a lot of pride in their work and want parents to bring home the project they participated in. The rewarding aspect of these types of school auctions is that teachers, parents and students alike are able to get involved and help to give back to the school – the money made from the auctions can go on to support tutoring programs, computer labs, science kits, musical instruments, and other supplies. Bringing the sublimation markers into a class for a school auction project can help give birth to a whole new series of student art. Creating a special quilt or a variety of fun throw pillows using the kids’ hand-drawn pictures are items that look great in the home and are guaranteed to delight any parent. Transferring a class’s drawings to poly-coated plates and mugs to create a unique dinnerware set is another practical project idea that will produce wonderful reactions by the kids and parents alike (and it may even bring in a little extra money during an auction due to its functionality!). So there you have it – coloring and imagination can take you and your students places. If you have the dedication, the patience and the tools (in this case, a heat press and a pack of sublimation markers), you’ve got everything you need to motivate your kids and nurture that creative spark. Want to order a pack of markers for your classroom? Curious about bulk discounts for schools and academic organizations? Visit coastalbusiness.com or give our Customer Success Team a call at (800) 562-7760 to learn more information about the Artesprix Permanent Thermal Transfer Markers today!